There is no reason on earth, other than to kill as many people as possible in as short a time as possible, that anyone needs a gun designed for a battlefield. It’s a Bill of Rights. Not a Bill of Needs. Since the police have them it must be in their job description to “kill as many people as possible in as short a time as possible”. If you really believe this then you are extremely ignorant and/or lack imagination. 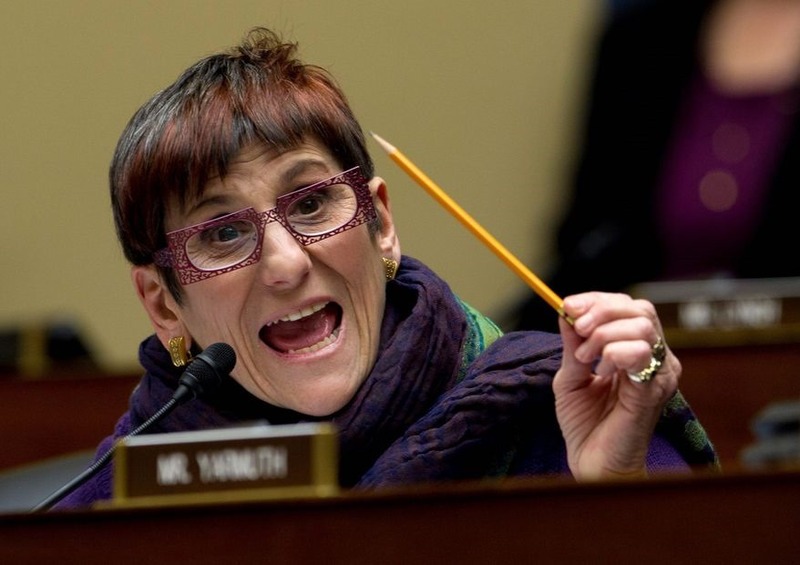 DeLauro is in favor of stronger guns laws that would completely ban assault weapons and high-capacity ammunition, she emphasized this bill would not force gun owners to turn in their firearms. “High-capacity ammunition”? And of course she makes it clear this is just step toward her real goal of a complete ban. Don’t ever let anyone get away with telling you that no one wants to take your guns. Sebastian and most of the commenters over there don’t see a problem for gun owners in this proposed law. Say Uncle just says, “No, thanks.” TriggerFinger doesn’t seem much concerned about it either. But I would worry about this giving the Feds a list of people that are verified previous owners of “assault weapons”. One might imagine, in her mind, these are the people that need to “dealt with”. 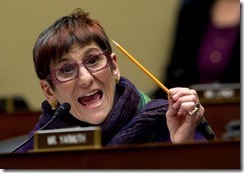 The administration has already demonstrated they use the IRS as a weapon. So what better way to get a list of your enemies than pay them a little something to identify themselves to your “weapon”, the IRS? Depends on your definition of “rifle”. The TC frame/barrel that can support .45 Colt can also support .410 shells. But in fact, as stated in the (otherwise infamous) Miller decision, the specific purpose of the 2nd amendment IS to ensure civilians can own and use “guns designed for a battlefield”. Exactly. And so the quote is entirely correct as far as it goes. Battle rifles are in fact designed or doing battle (duh). “So what’s your point?” would be my response. Either she has no idea of the meaning and purpose behind the second amendment or she is pretending she has no idea. The quote would suggest that she has fallen for the “sporting purposes” concept, but in that case she’d have to explain why the second amendment refers to a well regulated militia and not a well regulated duck blind. Further; she’ll need to explain how the reference to “the security of a free state” comes into play with regard to shooting sports. “White, misogynist slave owners!” is probably the best she could do, i.e. ignore and redirect. There is indeed a “slippery slope” – and getting the Feds accustomed to having people turn in firearms, voluntarily or not, is what I’d call a really bad idea. Do you really think that a government that reads your emails, listens to your phone calls, has your credit card records, and is known to routinely scan 4473’s illegally needs access to IRS records to put you on a list of gun owners? It’s what the IRS has the power to do to *you* that’s the problem. The ability to “read your mail” is bad enough. The ability to – legally – lock up your bank account, confiscate any income (including OASDI), and drive you to destitution is worse. They can’t openly use information obtained from those sources without risk of scandal. When you willingly give the information to the IRS they can. personally i see a “battlefield scenario” as a quite likely occurrence. it is precisely my intent to have weapons that can kill as many adversaries as possible in as short a time as i may have to use it. thank you, you hawk faced old bitty, for reminding me. 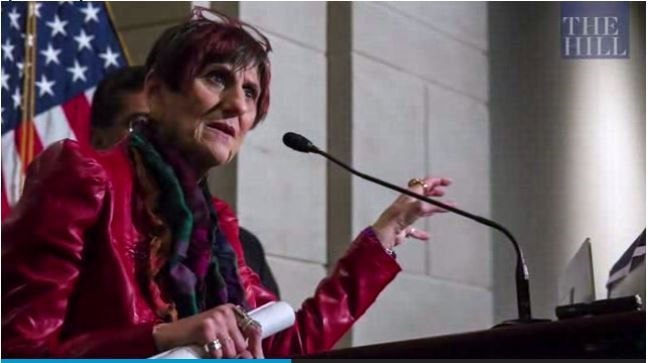 this is precisely why the founders put the 2nd amendment into the bill of rights, to defend against a congress & government & factions as militant as ms. delauro. she is the enemy, and she ought to know that i regard her as such. and, that i have taken preparations to defend my freedoms from her when the need arises. i make no concessions to tyrants. It’s not the legal gun owners you need to worry about. Of course, they already do. They’re worried sick that one day, enough people might get fed up with all the chicanery and corruption in .gov and taking matters into their own hands, clean house the hard way. Daniel, the correct statement is “it’s not the legal gun owners that an *honest* person needs to worry about”. Criminals do fear legal gun owners, and for good reason. So when a politician argues against legal gun owners, consider what that says about its motives and integrity. The comments on this Reason article are beautiful. I think the Pennsylvania long rifle was the last firearm designed specifically for hunting. Pretty much every other basic design created in the last 300 years was “designed for a battlefield” or an adaptation of such a design. Someone else smarter then me pointed out that this is “voluntary” however, it sets a precedent and so the next time they will make it mandatory. I’d like to stiff them with a piece of broken junk (heck I’d super glue on a bayonet lug) and turn around and use the tax savings to buy a sweet rifle. Quite ironic. However, it is a bill that should be destroyed on sight on principle. All gun control laws target only the innocent gun owners and as such the politicians who propose them are scum! Does anyone have a link to the actual proposal? The people who think this is okay seem to think they could make money on the deal. I’m guessing that the $2000 figure is an aggregate maximum and that you would also be limited to actual retail value of the used firearms you would be turning in. The IRS is unlikely to be as accommodating as some of the small municipal programs that pay more than the value of junk weapons. This would be a bad idea no matter how it was run, but it is probably also a money loser. Maybe she should have pointed out to her the nature of the weapons that were put to use against her kind in Athens, Tennessee in the ’40s. Miles and Paul: I stand corrected. I was working on the assumption that my mantra would be spoken to an honest politician, someone of good will, someone fearful of guns but amenable to a logical argument. The statement is a target-rich environment, actually, ripe for Fisking. – Yes, actually, there are a great many reasons. – We should not be forbidden to own something because YOU can’t think of a good reason. – “to kill as many people as possible in as short a time as possible” — you’re thinking of machine guns, aren’t you? – If a psychopath truly wants to kill as many people as possible, I’d think his tool of choice wouldn’t be a rifle. A pickup truck can do more damage. They tend to be pricier, though. – who cares what a tool was designed for? How many hospital patients have been killed with the lowly pillow? For that matter, how many soldiers have used their designed-for-war bayonets as can openers, tent pegs, and so on? Yes, vehicles have proven to be much more dangerous. If you’ll remember just about 20 years ago what a Ryder truck loaded with ANFO did in OKC. But that’s just trucks. A bunch of jihadis racked up a higher score with jet aircraft 6 years later. Stupid, in the end ineffective, useless acts both, but the murder toll per perpetrator(s). Oh my. That’s fine as an abstract point, but where are you going to find one of those creatures in the Real World™? The working definition of ‘honest politician’ I always heard was: One who *stays* bought.